The Aluminum Geodesic Dome is a self-supporting cover used usually in refineries and tank farms, where the storage product and the structural tank components must be protected from atmospheric and environmental influences, while the same time, minimize hazardous vapour emissions and preventing water from entering the storage tanks. They can be used for both new tanks and retrofit projects. 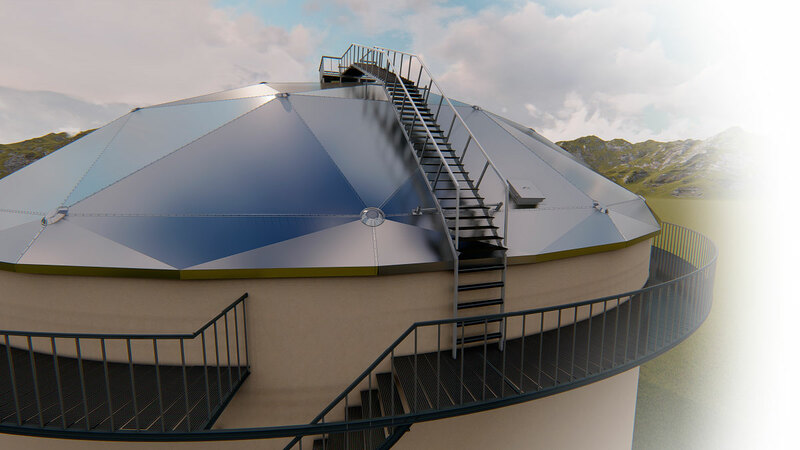 The Aluminum Dome is a fully triangulates structure designed as a self-supporting dome roof where by only its outer edge is connected to the tank shell around the outer rim. The domes are fabricated from high strength Aluminum alloys that resist corrosion as well as chemical, ultraviolet and ozone degradation. Aluminum . Compatible with all stored products, including 100% aromatics. Can be fitted on tanks in service. According to API 650 Appendix G standard.